Your roof protects one of your most valuable assets, your home. Therefore, it’s extremely beneficial for the life of your investment, to be on the lookout for signs of trouble. Small leaks may turn into huge catastrophes if undetected for years. 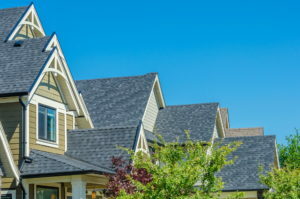 We’ll break down how to easily identify the five common trouble spots in your roofing system. Acts as a protective layer. It keeps water from penetrating the roof deck and getting into your attic/home. Helps to keep insects, birds, squirrels and unnecessary pests from accessing your home. The most common cause of problems with your fascia board is moisture. It is important to look for signs of rotting or damage to your fascia board and to have it repaired immediately if you find an issue. Flashing, usually made of aluminum or galvanized steel, is a vital component in your roof. 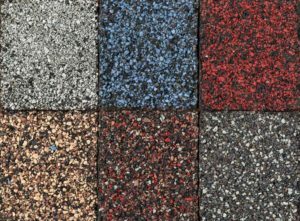 It is installed over joints, or intersections, in your roofing system. 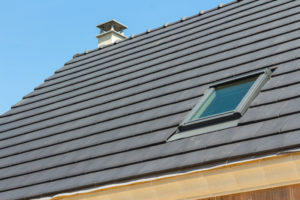 Flashing is primarily found in the valley of your roof and around your chimney, dormers, or skylights, anywhere a whole is purposely placed in the roof in order to install a feature. Defer water flow away from home in order to keep water from penetrating your home and causing damage. Helps prevent wind and insect damage. It adds a finished look to your roof. The most common problem with flashing is deterioration due to weather and oxidation. It is possible for your flashing to simply come loose or to develop holes over time due to corrosion. If you discover a leak early and suspect the flashing could be the problem, a screw, a fresh piece of flashing, or some caulk will usually do the trick. Directs collected rainwater away from the house. Keeps water from collecting around the foundation of your home causing water or moisture damage. Erosion can be prevented and this preserves landscaping and turf. Helps prevent water damage to the siding of your home. It is absolutely essential to keep your gutters functioning properly because gutters can back up with water and debris causing mold and mildew under your roof. The most common gutter problem is usually an easy fix. Gutters and downspouts can no longer do their job if they are backed up with debris. So keep them clean. If the gutters become too weighted down with excess water, twigs, and debris they may start to sag and even pull away from the fascia board. Leaks and/or holes in gutters is another common problem which can be easily remedied. Provides a protective layer over the plywood base of your roof. Protects your rooftop from environmental damage. Creates a water-tight, wind-resistant seal for your home. Enhances solidity and longevity of your roof. Discoloration is a common indicator of a leaky roof. If left unattended, a small leak may turn into a major problem. Also be on the lookout for curling or buckling shingles. This is a sure way for water to seep into your home. 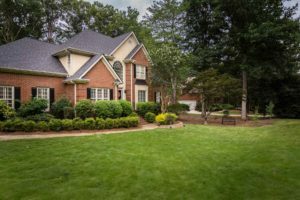 If your roof has damaged or missing shingles, you are leaving the underlying wood extremely vulnerable to rotting, molding, or further damage. 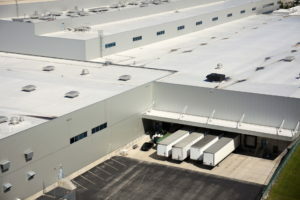 Soffit, derived from a Latin word meaning to “fix underneath”, is the what connects the roof overhang to your house. Therefore, Soffit is used to cover the exposed surface below the fascia and rafters. Preferred materials such as aluminum, vinyl, or wood give your home a more finished look. Allows air to circulate through which helps with attic ventilation. Helps to prevent rot in the sheathing and rafters. Cycles air to vents which draws heat and moisture away from your home. Roof rot usually starts at the soffit. Thankfully, the soffit is one of the easiest roof issues to spot because you can see easily see this part of your roofing system. Signs of soffit damage include cracks, holes, or rotting. 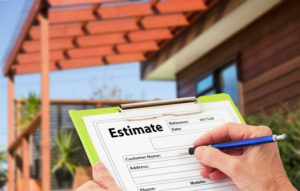 We recommend you have an annual roof inspection to ensure all components of your roofing system are working properly. DeLaurier Roofing & Renovation are your local, professionals equipped to keep your home safe and dry!